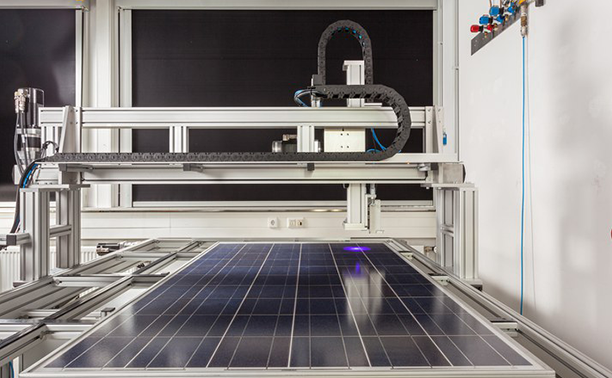 This year’s PV Module Reliability workshop is being held at Loughborough University’s Centre for Renewable Energy Systems Technology (CREST) in Leicestershire, UK, from April 16-17th. International speakers and participants will largely focus on new test methods and measuring tools being used and developed to enhance commonly performed PV module reliability tests. A further key area of discussion will be the recording and analysis of climate-induced stress and environmental influence. In addition to the hosts themselves, the list of speakers will comprise renowned research and industry representatives. a demonstration of various measureent tools for the assessment of local stresses on PV modules. how stress mapping in general and in detail will lead the way from specific stresses to concerted stress tests. a discussion of the degradation factors UV, temperature, water and thermomechanics. a session on the latest research results on potential induced degradation (PID). presentations and discussions on Quality Assurance in production and operation. evaluation of tests and tools for future reliability assessment techniques. 2015 marks the fifth time that the Fraunhofer Institute for Solar Energy Systems ISE has organized the PV Module Reliability workshop. Having already been hosted in Chambéry and Freiburg, this year the established experts’ meeting is taking place in the UK at Loughborough University’s Centre for Renewable Energy Systems Technology (CREST). CREST has been teaching and conducting research in the field of renewable energy systems for 20 years. On behalf of the organizers, Dr. Michael Köhl (Fraunhofer ISE) and Prof. Ralph Gottschalg (CREST) will speak about type approval, accelerated aging tests, and various degradation factors and mechanisms. “The renewal of… approval standards has paved the way for a test standard for PV modules that focuses on service life. We intend to discuss the scientific basis for this in Loughborough,” said Fraunhofer ISE’s Dr. Michael Köhl. Additional speakers from universities and research centers will include Prof. Beate Röder from Humboldt University of Berlin, Prof. Tamizhmani Govindasamy from the Global Institute of Sustainability at Arizona State University and John Wohlgemuth from the National Renewable Energy Laboratory (NREL). Meanwhile, company representatives will provide an insight into aspects concerning PV module reliability and quality assurance from the solar industry’s standpoint. The latest developments in potential induced degradation (PID) analysis, Raman spectroscopy, stress mapping and thermomechanics will also be presented and discussed. To view the full workshop program and to register, please visit www.pv-reliability.com. Fraunhofer ISE is the largest solar energy research institute in Europe. The work at the Institute ranges from the investigation of scientific and technological fundamentals for solar energy applications, through the development of production technology and prototypes, to the construction of demonstration systems.